In order to expand the business horizons it is very important for every business owner to come up with a website so that their products are easily available to all their customers out there. Even if you need to share information with your customers then an informative website can be of great help. 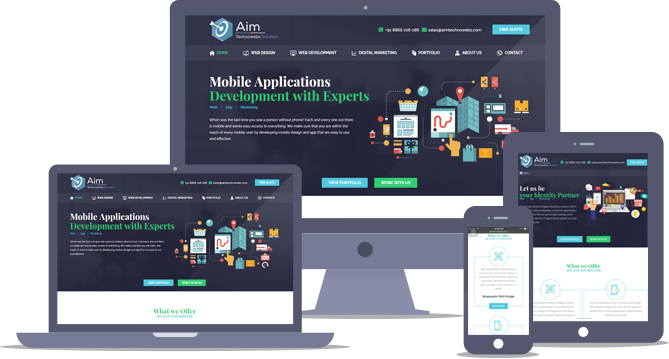 Now once website is completely developed another important thing that needs to be taken care of is that it has to be mobile responsive design. Responsive design would adjust its pixel width as per the screen resolution of viewing. It views the whole website as shown on desktop version on any mobile devices. It is very important in terms of improving user experience level. Why responsive design matters to every business? Be it desktop, mobile or any tablet the best thing about responsive design is that it will be flexible to any screens, it will adjust itself as per the screen selected which gives all your customer a very good user friendly experience. Statistics say 60% is used on mobile phones compare to that of desktop users, so for any business owner it can be best source to cater new user and generate business as it can lead to lots of conversion. Google is search giant which plays an important role in today’s market. They have highly recommended of developing a design that is mobile responsive as it can help in improving your rankings as Google places user experience one of the factor. 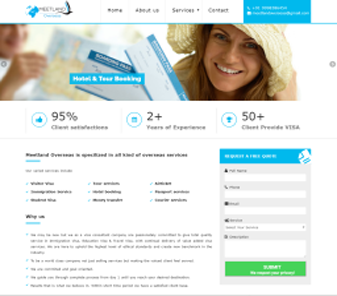 There is option of creating a mobile website or develop responsive website design, creating mobile website can cost a lot and is a time consuming process, while on the other end responsive website design does not take additional cost and can be worked simultaneously during website development itself which save a lots of time. 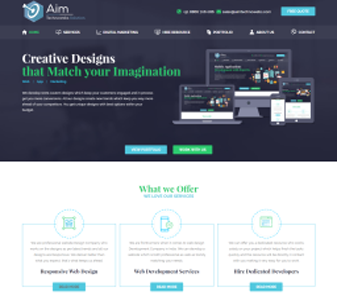 We at Aim Technowebs are professional responsive web development company in India understand all the above criteria hence our designers make sure that CSS and the pixel measurements are perfect of each and every design that we work on so the design is perfectly responsive and can adapt to any mobile screen. Be it tablet, iPhone or any other mobile device our design will work for all without any flaw. Let our responsive web design firm to help you with creating the best website so you can stay ahead of your competition.